Welcome our latest soft toy collection; The Deramores Woodland Animals. Designed by the ever-talented Amanda Berry, these forest friends are the newest additions to the Deramores site. 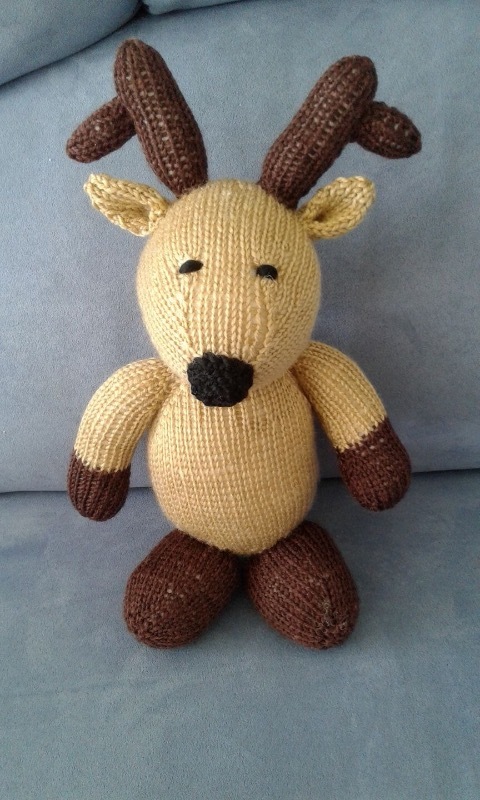 The perfect knits for your little one or for any animal enthusiast, the Deramores Woodland Animals are made using the fantastic anti-piling Deramores Studio DK. These animals have a finished size of between 22-30cm depending on Antlers/Ears. Love him pattern very easy to follow, good clear instruction, would life toad a picture of finished toy but no link showing. Excellent product and service. Easy to use and delivered quickly. Love them. Have not had time to make them yet. Looking forward to making some for Christmas gifts. I couldn't resist the patterns for the woodland creatures. I have a project I'm working on at the minute but I can hardly wait to try these patterns. They're all so nice, don't know which one I'll make first. Brilliant, only just started to knit them, more a winter hobby for me. They are just so cute.